Provides warmth and compression to promote rapid healing of soft tissue injuries. 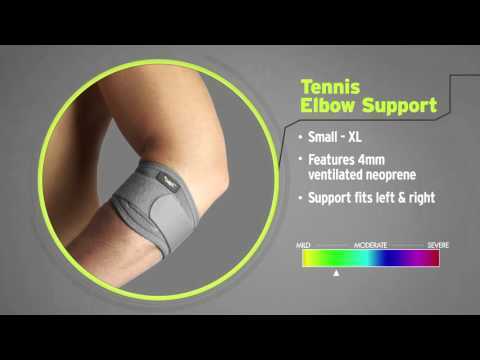 The OAPL Premium Elbow Support provides compression and warmth to promote rapid healing of soft tissue injuries. Maintaining body heat helps to increase blood flow, promoting elasticity of muscles, tendons and ligaments. This Premium Elbow Support features high quality ventilated neoprene with moisture wicking technology and soft terry lining. It provides comfortable support which aids in reducing swelling and associated pain. Available in four sizes for correct fitting.